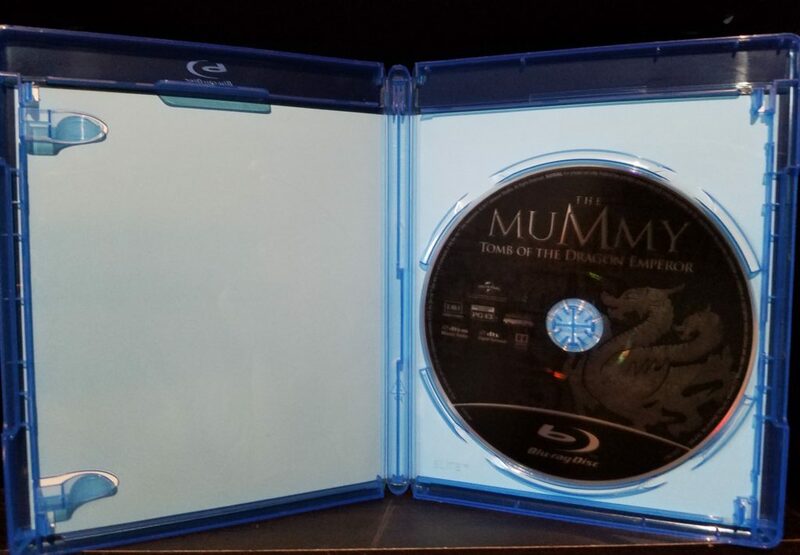 The Mummy: Tomb of the Dragon Emperor - Blu-Ray Review - ReDVDit! In 2008, the third installment of the Mummy franchise would release and it would go nearly completely unnoticed. On the outside, you might think this is because the film had a seemingly smaller budget or because this time they were not able to get Rachel Weisz to reprise her role as Evy O’Connell. The truth is I am not exactly sure why the film did not receive more confidence from Universal, or why the studio did not advertise its release the way they did the original two. What is crazy is that in many ways this may be the best of the three films and yet the biggest issue it may have faced is the timing of its release. What made The Mummy such a success in 1999 was the overall campiness and grandiose premises, this just doesn’t fit well into the world of movies that we all seem to love anymore. They need to be able to stay grounded and as this film progresses it does anything but. It would be seven years before we got to see the next installment in the O’Connells adventures. This time around it would seem the hardest thing the O’Connells face is retirement and ultimately boredom. Some time has passed since we last saw our heroes and Rick and Evy’s son has grown up and started to make his own terrifying discoveries. 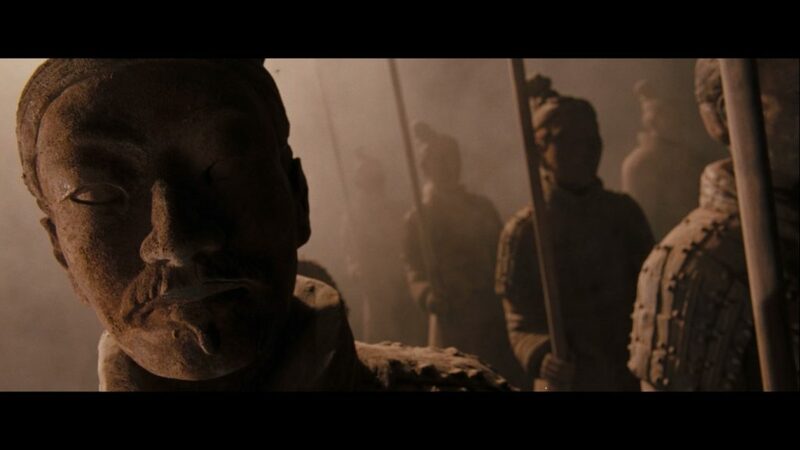 We soon the learn the tale of the Dragon Emperor and how his mission to conquer the world was barely thwarted. This, of course, is our mummy for the length of the feature and played by Jet Li who manages to separate himself from Dwayne “The Rock” Johnson’s performance in the last feature. Predictably, the Emperor is awakened by the O’Connells (this time unwillingly) and the race to stop him ensues. Joined by Evy’s Brother Jonathan (John Hannah) and some immortal woman (who swore to stop the emperor) it is down to the wire. I want to say that in terms of how “good” the film is, is going to be rather relative overall. When say comparing it to Citizen Kane this is a terrible movie. 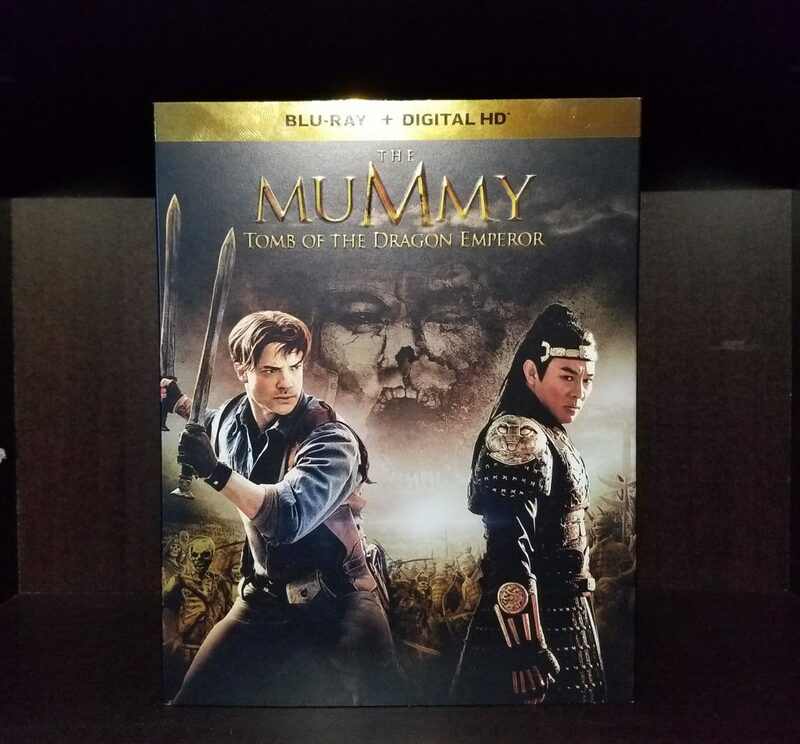 However, I doubt very much anyone is sitting down to The Mummy: Tomb of the Dragon Emperor with skewed expectations on what will take place during the film. This film delivered exactly what I had hoped it would, entertainment. However little the film may have to offer, I found myself glued to it, wanting to see what next debacle the O’Connells would find themselves in, and honestly, that has to count for something. This time around we have cinematographer Simon Duggan, who if nothing else is well-seasoned. Alongside Director Rob Cohen their vision for the third installment is noticeably different. First of all, the effects in this are noticeably better, as they should be considering the filming took place nearly a decade after the first installment and the budget increased from 80 million to 140 million (even with inflation, that is significantly more). Considering this time around we have a different director, of course, we will have a different style for the whole film and this is not necessarily a bad thing. When done right, bringing different directors into the same story can add an alternate point of views into our beloved characters lives without sacrificing quality (I am immediately reminded of the Harry Potter series). That being said, the style is just different, where the first two installments went together and were based on the original Mummy movie, this one is done as based on a remake and the characters developed there, which is admittedly harder. I, like most people, did not see this one in theaters but I found the experience on Blu-ray acceptable and of decent quality. The thing you will notice most from two to three is the increase in quality effects. Even with the years and increased budget, we do, from time to time, experience some not so great effects. I felt that the ratio stood firm and kept the film alive well enough to keep you involved. Randy Edelmann finds himself front and center as the conductor for this film. Which seems to be one of the best choices made for the film, the music keeps an ominous tone that keeps the film moving along. This was a rather important aspect of the first two film and I am glad that they were able to keep that as a factor in this one. While watching this at home, I found there was no struggle with the volume which seems to be one of the most consistent things about the three installments, no matter what is going on in the film, the volume stays at a reasonable level. Much like the first two films, this film has gotten some improvements in the way of packaging. Newer artwork, and more than that, matching artwork to make the three films a set. Which, if you know me, I’m a sucker for a good looking set of films that look great on the shelf. The sleeve itself, has a nice quality feel to it overall. The great unifying feature that I really enjoy across all the releases is the custom art on the actual disc itself. It is a small detail that often gets overlooked , most likely due to budgetary concerns, and I must say I love it when small details are made important. This film follows the same format as its predecessors and yet something is unmistakably missing (besides Rachel Weisz). I still found this film to be more enjoyable than the newer released one starring Tom Cruise. 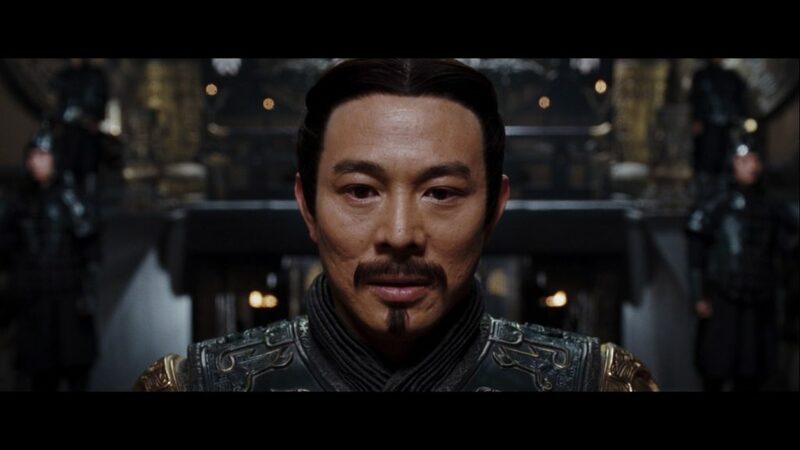 The unique thing about this film is that it totally works in the sense of a mystical Chinese tale of a fallen Emperor trying to rise again fighting against immortal beings and creatures. What pushes it out of the scope of reality, and even reasonable plotlines, is the O’Connells. I am convinced that this overarching story works better without them. 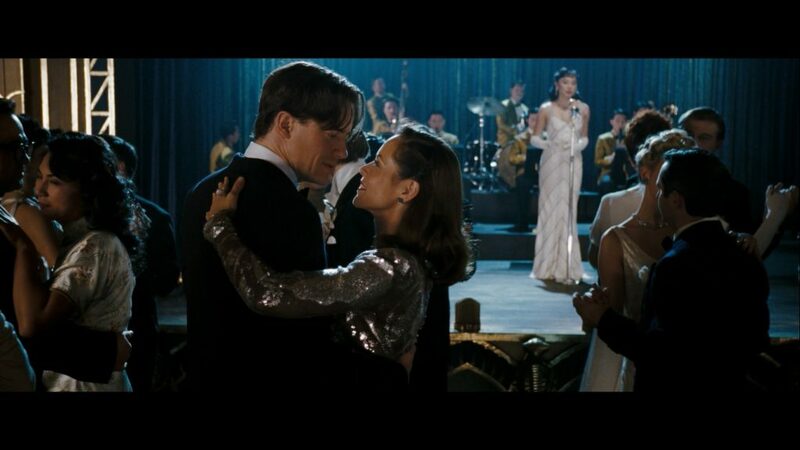 Many people will go into this instantly hating the absence of Rachel Weisz and I will admit the chemistry isn’t there HOWEVER I think Maria Bello makes a better Evy by miles. She seems to capture a sense of adventure and mischievous personality trait that just isn’t there with Weisz. This is not really any better or worse than the first two installments and the key to remember here is that these are “B” Movies and are not set out to accomplish much but entertain and in that regard, they win. Somehow, someway, they keep you entertained over and over again. You can purchase this edition HERE.